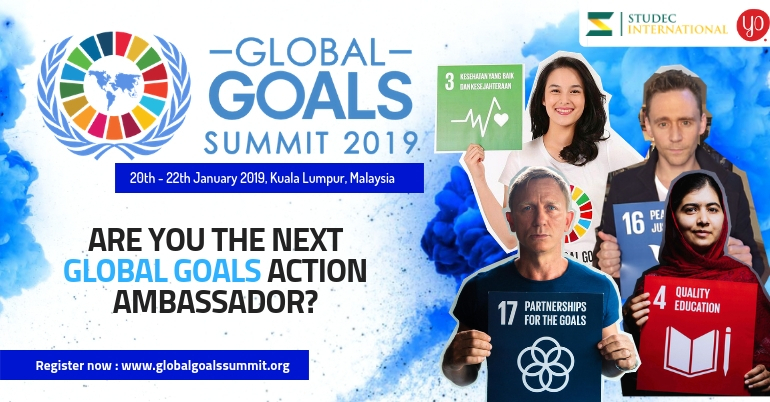 Applications are now open for the GLOBAL GOALS SUMMIT in Kuala Lumpur, Malaysia from January 20 – 22, 2019. There are more than 700 million young people in Asia-Pacific, an incredible source of energy and creativity. But while only 20 percent of the region’s workers are aged between 15 and 24, these young people account for almost half the Asia-Pacific’s jobless. 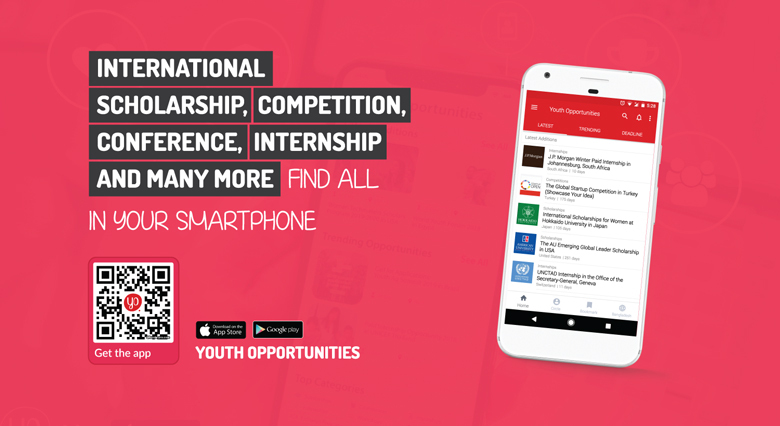 The youth employment challenge is complex and closely intertwined with economic development, child labor, rural livelihoods, urban and trans-border migration, gender, poverty and vulnerability. The tools for addressing the challenge are similarly diverse – education, training, skills development, social protection, self-employment and entrepreneurship, language and technology. So, we’re here to solve the youth challenge and solve the world’s problems. GLOBAL GOALS SUMMIT held by Studec International in collaboration with Youthnow (the official partner of United Nations Habitat). Entering its first annual session, GLOBAL GOALS SUMMIT aims to create new urban agents and to teach the urban youth how to join the SDGs agenda in their respective countries. With the grand theme on Sustainable Development Goals (SDGs), GLOBAL GOALS SUMMIT offers a fully inspiring talks by renowned international expert on SDGs, exciting cultural exchange sessions and a comprehensive leadership training that emphasizes future leader qualities. The delegates get the opportunity to inaugurated by Youthnow (UN Habitat) as Global Action Ambassador with sash and official certificate of Ambassador. The objectives of the SDGs include a universal scale. Solve the world toughest problems, the participants need to work together, create the innovation and do collaboration to make it happen and give the impact for society. The activities related to learning culture, language, and technology is expected future leaders have a science of multicultural understanding. Please contact Naisha +60 17-609 8072 / [email protected] for assistance.